Apex Legends isn’t the first battle royale to offer three player squads, but its full embrace of that team number makes for a very welcoming place for new players. Theoretically, you could not land a single bullet and still come out a champion assuming your teammates carry a little additional weight. So when a new player who is still learning the ropes gets teamed up with a couple of veterans, they can participate without feeling like they are going to get knocked out in the first few minutes of the game if they had been playing solo. Of course, a team is only as strong as its weakest link, but by approaching the teams in this way Apex Legends allows for a lower skill threshold for entry so new players don’t get frustrated. Those who are late to the bandwagon and start playing Apex a few months after it has released can enter the game and not be totally intimidated by a slew of 100+ kill players when their two teammates can be at that level as well to support them. Fornite has offered three-man squad modes starting back in December 2018, but even in that mode, new players will struggle to balance reaching the same level as their teammates when shooting and looting is combined with a third element, building. Apex Legends has absolutely no building, and that is a wonderful thing for new players. Some people forget the reason Fortnite even has building mechanics in the first place is because it started out as a survival game where your fortifications protected you against an onslaught of zombie waves. When a battle royale mode was finally added, building was included in the mode because all the functionality to do so was already present in the game. Building in Fortnite can be the most exciting part of a match, for intermediate and pro players that is. I think we have all had that moment where we fire one single bullet into an enemy’s back and suddenly, their hotkeys have fabricated a tower quicker than a newbie could switch weapons. Building is a key factor of what makes Fortnite stand out among other battle royale titles, but the catch is that the feature can be very unforgiving for beginner players. Watching the last minutes of a Fornite match almost always ends with massive towers getting erected with a frantic energy where the winner is determined by who is the quickest at placing walls and floors. 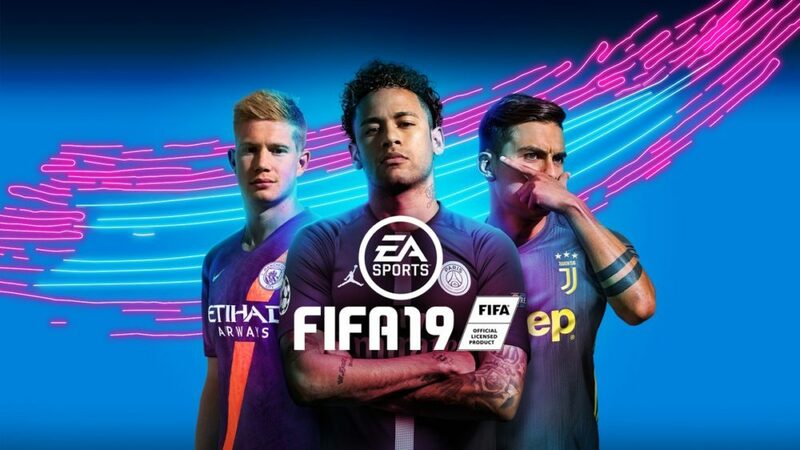 A beginner player, if they happen to make it to the end, will likely watch from the ground to get picked off due to their low-ground disadvantage. Apex Legends makes up for this by putting a ton of high-ground/low-ground locations in its map. Therefore, you don’t need to build a tower to get that upper hand to pull a battle. You can just use the map around you to strategically get the higher ground and still get that satisfying win. 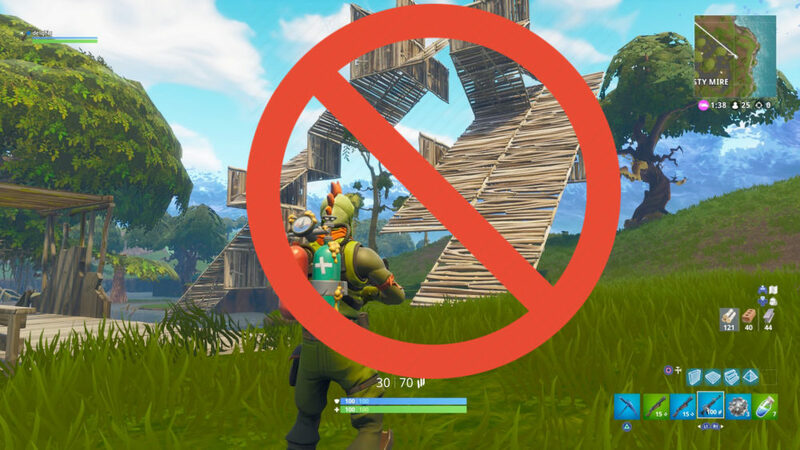 It’s not that beginner players can’t learn to build as time goes on, but to drop into match after match where advanced builders have already been mastering the art for months can be quite irritating for the newbies who are just trying to get their foot in the door. It’s no fun being “out-build” by other players on day one of starting Fortnite. Maybe if Fortnite had ranked games where you only play with people of your level, this would be a different story. 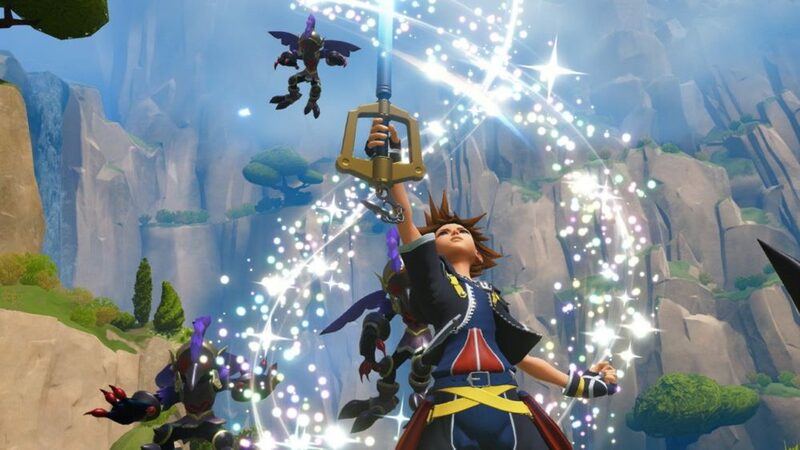 But for now, beginners will always get placed into a game with master builders where their fate is almost sealed before they even reach the top five. There is a reason Fortnite has adopted a pinging system since the release of Apex Legends, and that’s because it is arguably the best and most thought-out feature of the entire game. You can easily ping any item or any place in the environment to alert your teammates of things they might need or areas you want to explore. Double-clicking the button will automatically change the ping into an enemy alert indicator, so when you see an enemy you can immediately let your teammates know where they are on the map so you can plan an attack together. Holding the ping button also allows you to choose from a variety of other options as seen above. You can say you’re watching an area, defending an area, or even alert your comrades to recent enemy movement. You can also ping items, like ammo, weapons, shield, health, hop-ups, throw-ables, and more if you are deciding to pass on something your teammates might need. Opening up your menu, you can also ping things you need like ammo for a specific weapon or a weapon attachment so your teammates can keep an eye out for you as you keep looting. The best part of this pinging system is that you can be a proactive and communicative member of your team without the use of a mic. You can plan attacks, ask for help, and work better as a team by simply using the pings rather than speaking to each other. This is a huge deal for those who are not comfortable with speaking on mic. Whether it is because you are more of a shy person, or you are tired of hearing hurtful remarks that can be common in an online game, Apex Legends makes it easy to help your team without uttering a single word, making the battlefield a safer environment for all. Shooting in Apex Legends feels good, like really good. The variety of weapons and ammo types means you will always find a combo you enjoy, and it’s fun to try new combos to see which are the best two guns to help you reach that final two squad battle. 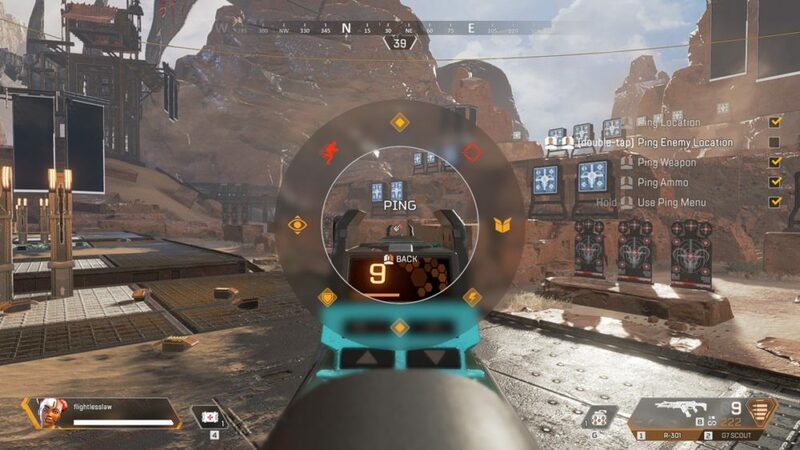 Like in any decent shooting game, bullet drop does exist in Apex Legends. This is when gravity drags a bullet down in an arc the more distance it covers over time. However, the bullet drop in Apex Legends feels a lot more forgiving when compared to other battle royales. For close to mid-range battles, this will not even be a concern. Shotguns, assault rifles, SMGs, and LMGs at these ranges will all feel very tight upon firing, especially with any one of the scopes equipped. Whether you are hitting the enemy’s head, body, arm, or even leg, you will deal a certain amount of damage and the accuracy of the guns feels extremely fair and accurate. For more long-range battles in other battle royales, bullet drop can be a big hindrance. Lining up the perfect shot will have to take into account how far you are from, not only for sniper rifles but for other gun types as well. For snipers, Apex Legends accounts for this with the sniping scopes found throughout the world. 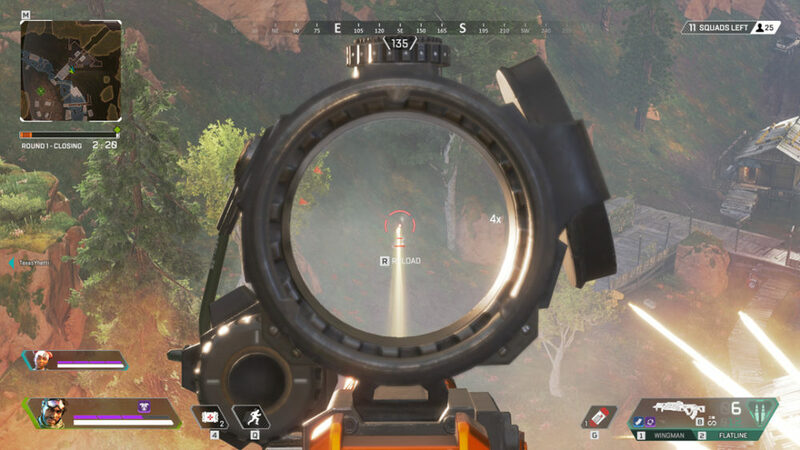 The draw distance is great in Apex, and to get the perfect headshot you simply have to read how many meters the enemy is from your location and raise the reticle so the number matches the initial number of your distance from the player. Better scopes will make this adjustment even easier, having the drop distance numbers closer together for accuracy. 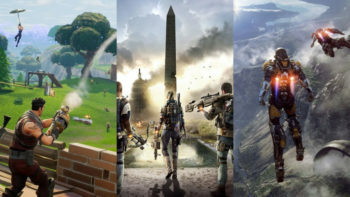 Compared to the other three popular battle royale titles Fortnite, PUBG, and Blackout, Apex Legends truly feels like it has the clearest and forgiving bullet drop physics. Ignoring the fact that energy weapons in general don’t even have bullet drop at all, the rest of the weapons feel good to fire at long distances. You might have to adjust your aim a bit depending exactly how far they are, but in general, landing hits across long distances is quite a bit easier in Apex compared to the others. This is great news for beginner players, who might not even be aware of bullet drop in general. 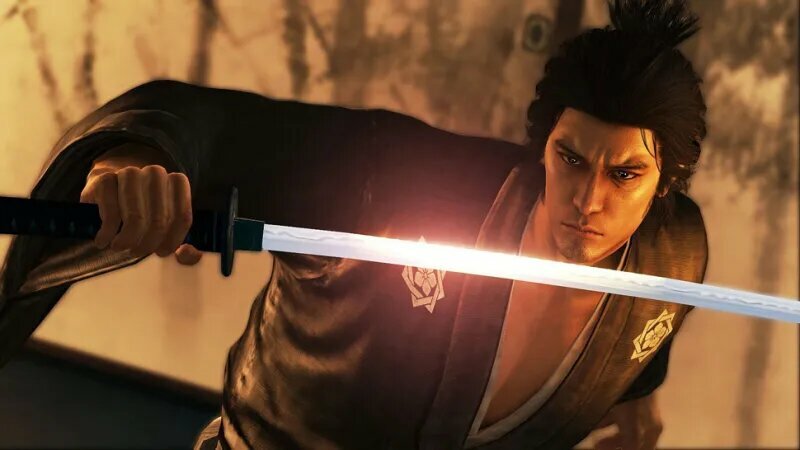 They can take a few practice shots on an enemy, check how far off they are, and readjust without having to really raise their aim over the player’s head like in Fortnite where the bullet seem to arc much more drastically. 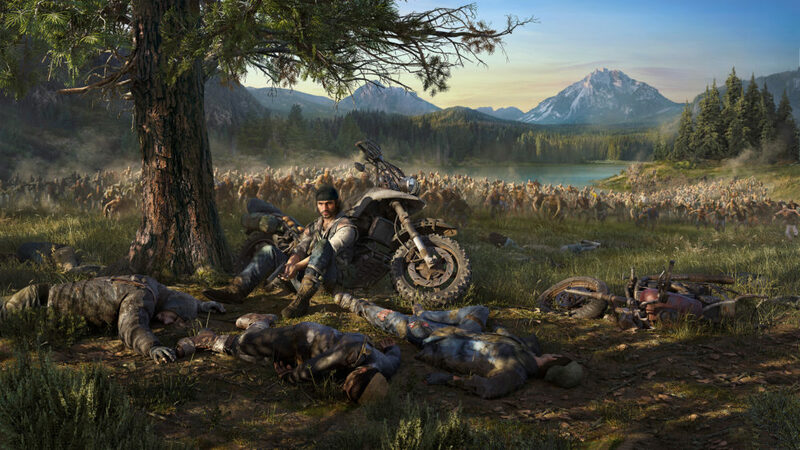 Looting is essential to winning a battle royale, but for a new player sometimes the variety of loot available can be confusing in determining what to pick up. Which ammo should you collect? What hop-ups work with what gun? If I switch guns can I still keep all of my attachments? Apex answers all these questions with a very easy to understand looting system. Heavy – Turquoise – Wingman, Prowler, Spitfire, Longbow, Flatline, Hemlock. Light – Orange – RE-45, P2020, Alternator, R-99, G7 Scout, R-301. Energy – Neon Green – Devotion, Triple Take, Havoc. Shotgun – Red – Peacekeeper, EVA-8, Mozambique. Unique – Yellow – Kraper, Mastiff Shotgun. (These ammo and weapons can only found in airdrops). The color of the ammo you need will also be alongside you gun info HUD in the bottom right-hand corner. Therefore, you can tell even while running from a distance if you are going to want an ammo box just based on its color. When dealing with limited inventory space, you’re not going to want to pick up the wrong ammo and waste space. Call of Duty: Black Ops IIII’s battle royale Blackout struggles with this, as new players can be confused as to what ammo to pick up when the boxes are all darkly colored and look essentially the same at first glance. 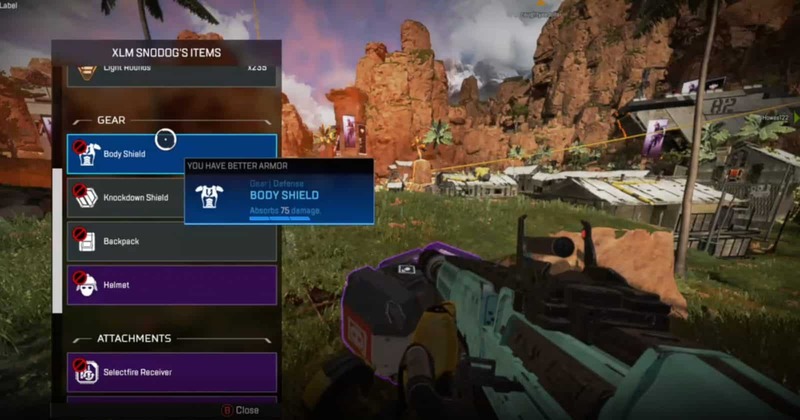 No one wants to be vulnerable by standing still to drop ammo you don’t need for more inventory space, and Apex ensures you will be swapping stuff out from your main menu as little as possible if you pay attention to the color of ammo boxes. When looting death boxes, items you don’t need will also be crossed out with a red icon and everything you could attach or collect to help you own weapons or shields will have no icon as seen above. This is great when you find yourself in the middle of a fight and are frantically checking a death box for better items. Without thinking you can just click everything that doesn’t have an icon and in just a couple seconds come out of that box stronger than before. Finally, when looting from the ground for gun attachments the game will either say you can ‘Pick up’ an item wherein it will go into your inventory but does not work with any of your guns, or ‘Attach’ where it will automatically attach right onto the correct weapon. If picking up a new weapon, a small menu will tell you how many of your current attachments will transfer over to the new weapon and it will do so automatically when you pick it up. All of these things make looting in Apex feel very straightforward and beginner friendly. After a few matches, you will start to easily remember which guns need what ammo or attachments without referencing any menus, and when taking a dead enemy’s gear you won’t have to check back to remember what level of shield/backpack/helmet you have before picking up a better one. It’s so intuitive, it feels like an introduction to FPS menus in general so that a beginner could master Apex and then move onto new titles with this knowledge of weapons and looting carrying over. Even when other battle royale games include squad modes, if you are the weaker link on your team and you die you are somewhat forced to twiddle your thumbs and watch through the rest of the match as a spectator, unless you want to leave the match altogether and forfeit any win your teammates might acquire. 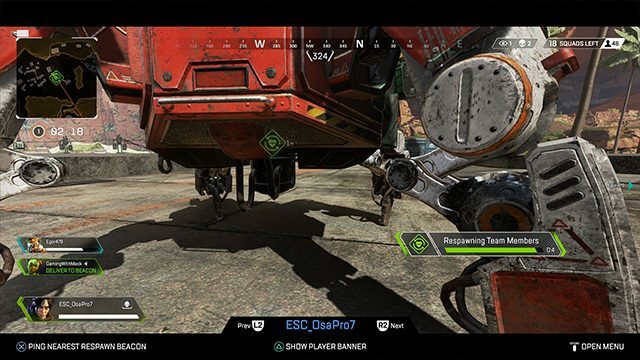 Apex addresses this problem by not only allowing revives but allowing you to totally respawn your teammate if you get their tag in the 90-second window after they have been killed. You can then bring this tag to a beacon where they can come back into the match with full health and a cleared inventory. This can be done as many times as the team wishes so long as a beacon is still present in the map and the teammate’s tag was picked up before the 90 seconds are up. You can see why beginner players love this feature, as even if they die early in the game they can get back into the action to help out as best they can by getting respawned. This can even allow new players to be a bit bolder in their attacks to increase their skills, knowing if they do fail a better teammate could swoop in and save you afterwards. Just like the pinging system, Fortnite seems to have noticed the benefit of including a respawn option with a leak showing ‘second chance vans’ scattered around the map discovered by data miners. It looks like when a Fortnite teammate dies they will drop a card, which can then be brought to the vans for them to respawn. This has yet to be fully added to the game, but it looks like it will probably be sometime soon. 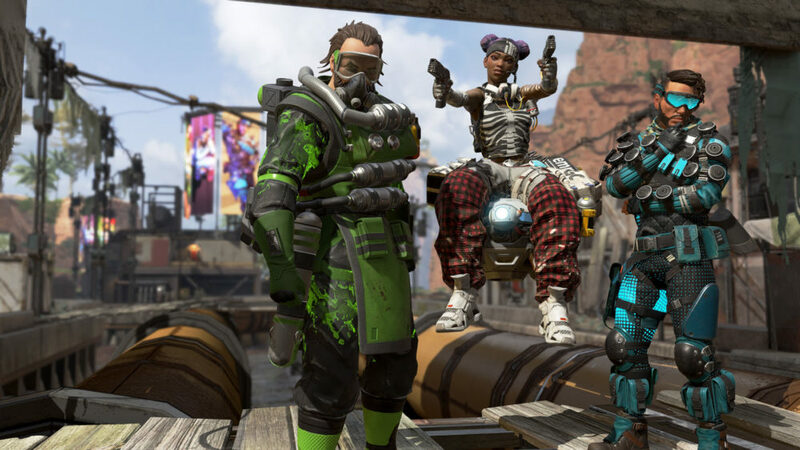 For all these reasons, Apex Legends is proving to be an enjoyable experience for advanced and beginner players alike. Are you new to battle royales and have found Apex to be a great place to start? Let us know down below!